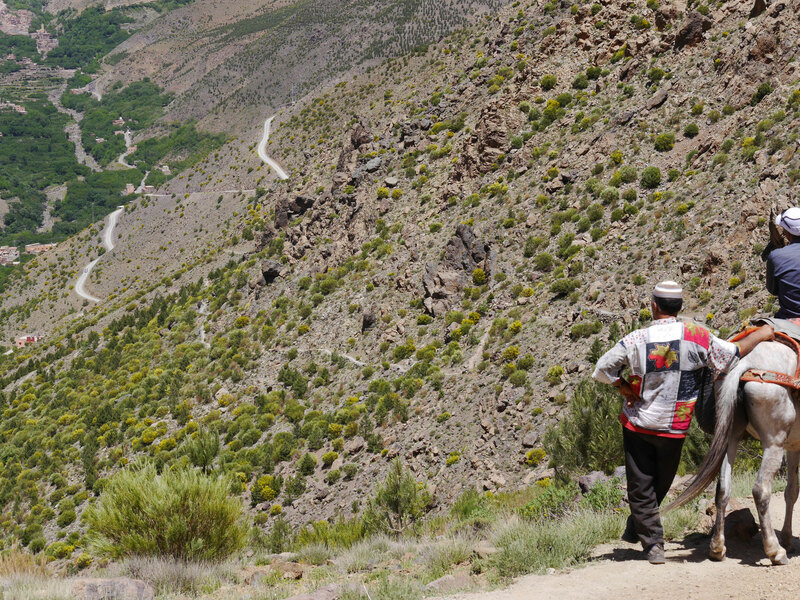 The trek starts in the Azzaden valley in Tassa Ouirgane, a small berber village on 1300m, where the muleteers are already waiting for us with their animals. 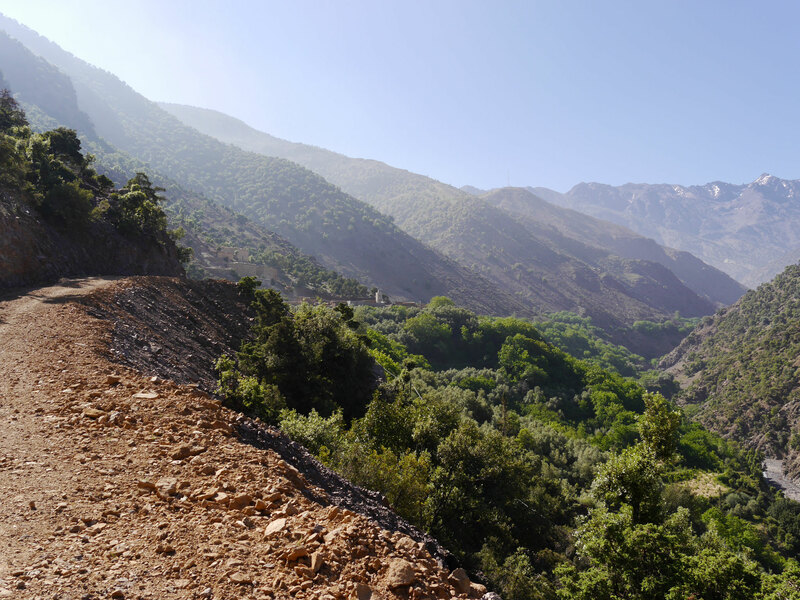 We enter the Toubkal National Park just behind Tassa Ouirgane, and then pass by huge gardens, cultivated on terraces, walnut trees and ochre houses. 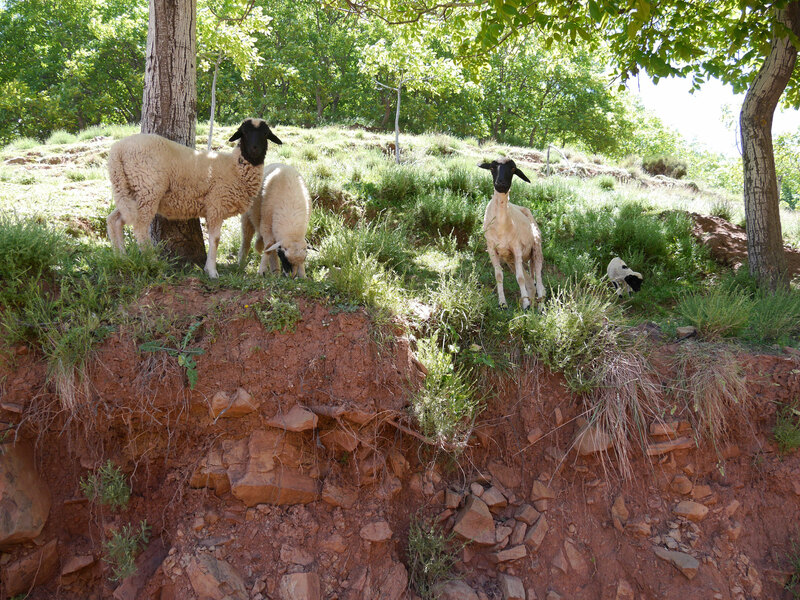 After having refreshed ourselves with a lunch picnic, we ascend Tizi Oussem at 1900m. 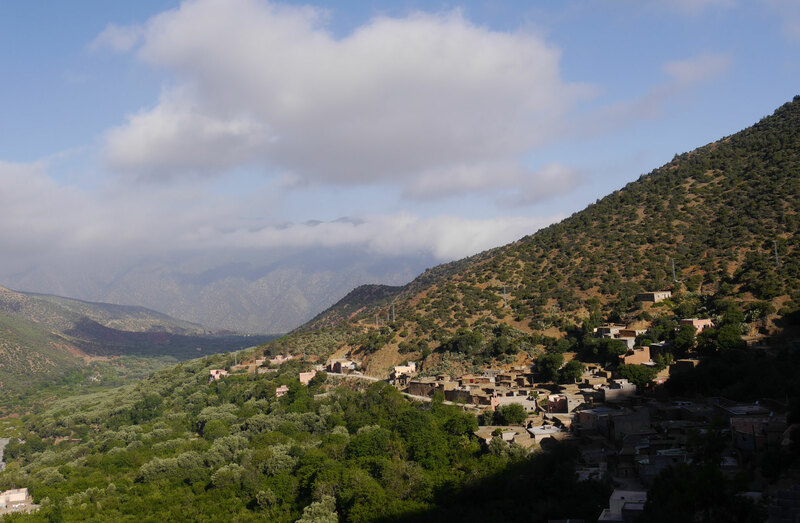 This is today’s destination and we have time to look around in the village before having dinner and spending the night in a berber house or refuge. 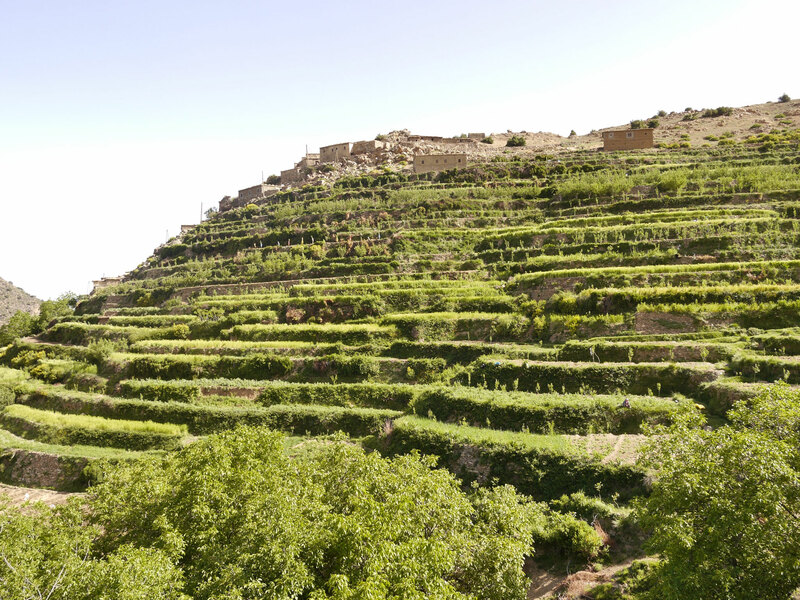 After having enjoyed a berber breakfast with local bread and olive oil we start again and walk thru fragrant juniper forests to Tizi Mzik at 1889m. 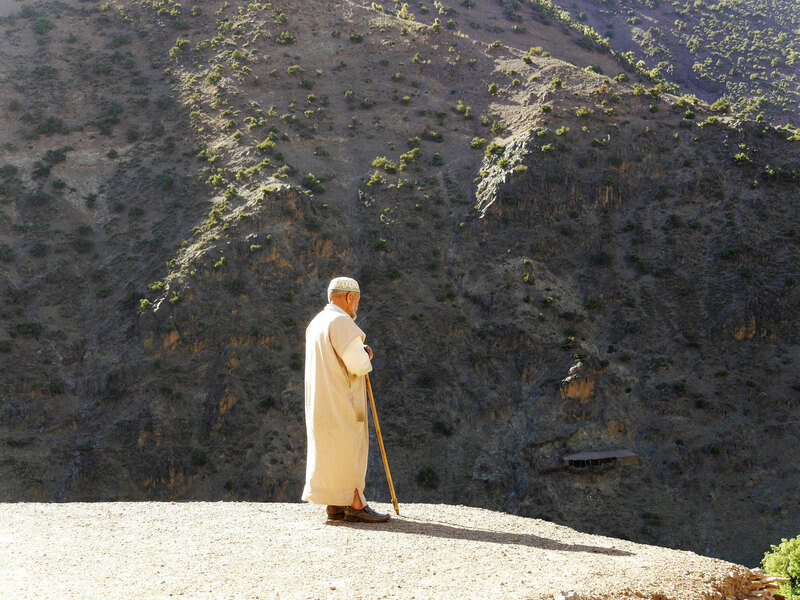 From here we descend to Imlil at 1700m, our final destination of this trek. 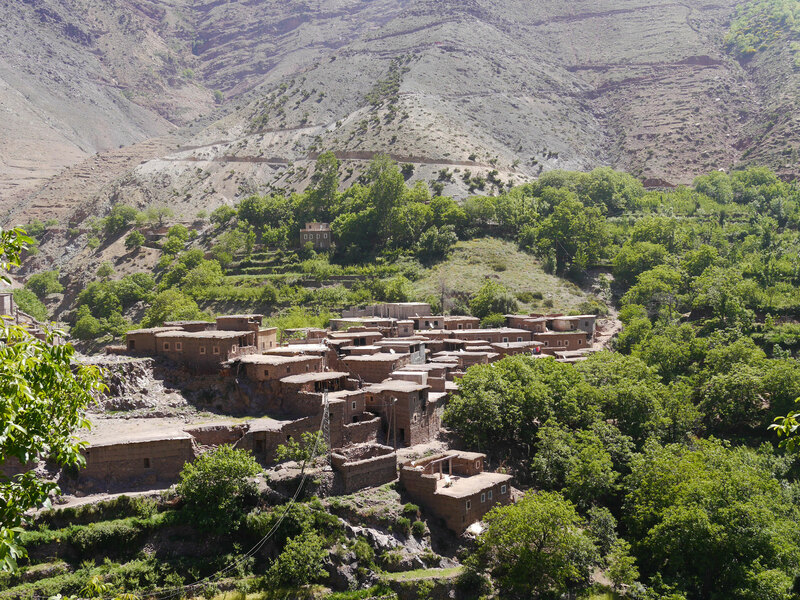 Imlil is the biggest village in the Ait Mizane Valley and a main base for trekking in the Toubkal area. Prices depend on number of persons. Are you in the Ouirgane / Marigha area or do you need transfer from Marrakesh? Please do not hesitate to contact us - we will submit our best offer as quickly as possible. We will leave at about 9am and will be back the next day at about 4.30pm (Marrakesh 8am - 6pm). Times are estimated and can vary according to season and your wishes. Don't forget sunglasses, suncream etc. Please note that we currently are able to accept cash payment in MAD only.